RM Audio is the brainchild of R. Mohammed Wasif, a young Business Management graduate with a passion for entertainment and commitment to perfection. Along with a team of liked-minded professionals, RM Audio ventured into the automobile entertainment industry in 2000. Within a short span of time, RM Audio became a name to reckon with being the first of its kind in introducing world-class techniques and products. Wasif’s commitment for perfection drove him to create entertainment systems that had aesthetic appeal and flawless performance. After undergoing DLS training under Mr. Peter Flodqvist (Head Judge for E.M.M.A Competition Shows, Europe) and specializing in fiberglass installation techniques, Wasif, along with the RM team created a lasting impression at many audio shows both in India and abroad. 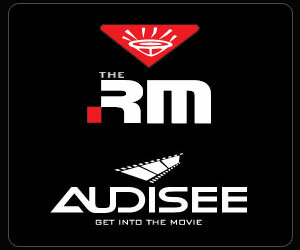 Having establishing RM Audio as one of the premier auto acoustic consultant to many automobile enthusiasts all over the country, Wasif and his team followed down the road of Hi-Fi home entertainment and home audio solutions with the creation of Audisee. RM’s entry into this niche segment of entertainment market was a well thought out process. While looking for a new challenge and keeping in mind RM’s commitment to customer satisfaction and passion for innovation, the Audisee team acquired the necessary skill set through THX, HAA and ISF certifications. This provided the Audisee team with the technical knowledge required to develop unique sound solutions to meet virtually any audio challenge in the home cinema arena. To gain a better understanding of the company, services, and markets, it might help you to think of RM Audio as a company committed to providing cutting-edge entertainment solutions with a passion for perfection and the technical know-how to deliver them. To maintain leadership position by offering clients expert vendor-neutral consulting services for audio and visual systems. To consistently provide unique methodology, extraordinary attention to detail, consistent follow-through to its clients. To continue close collaboration with clients creating win-win solutions. We maintain a high level of professionalism and a strong sense of teamwork with our clients, vendors, and our employees. We value and encourage creativity and innovation. Our highly experienced team prides itself on its problem-solving abilities, innovativeness and strategic thinking. Our team of professionals adheres to high standards of professional ethics. We are truly vendor-independent which enables us to deliver unbiased, objective recommendations and solutions to our clients. We believe in relationships. We treat our client's needs as if they were our own, so we approach each project as if we are part of your team. AUDISEE also strives to exceed client expectations. Our primary concern is to get the job done right the first time-on schedule and on budget.